We'd be happy to discuss pricing and licensing options with you. The Planning & Analytics package includes everything you need to adopt an active planning process. This includes budgeting, forecasting, management and ad hoc reporting and analytics, variance analysis, process management, transaction management, OfficeConnect board reporting, visual analytics and dashboards, and single sign-on. Standard customer support is also included. The Planning package includes budgeting, forecasting, management and ad hoc reporting and analytics, variance analysis and process management, transaction management, and single sign-on. This Planning package can later be upgraded to add OfficeConnect board reporting, visual analytics, and dashboards. Standard customer support is also included. Consolidation accelerates the financial consolidation processes, allowing users to review and analyse their data faster. SIt enables consolidating data from multiple General Ledger sources, inter-company eliminations, journal entry management, partial ownership, reclassifications, and close process task management to automate your processes, and financial and management reporting on the consolidated results. Operational Analytics expands visual analytics by enabling the inclusion of operational data from across the enterprise, beyond planning and consolidated financials, in dashboards. Intuitive visual dashboards and interactive analysis allows broad sharing of business metrics across your users and stakeholders to quickly understand opportunities and determine the best course of action. Integration enables automated integration with ERP, CRM, HCM, databases and other enterprise applications, located both in the cloud and on premises. Connectors can be provided to virtually any system or database and may be deployed at any time during or after implementation. Connectors may be added individually or customers may choose an unlimited option. This package is an optional add-on to Sales Quota & Capacity Planning. It adds territory management, including territory segmentation and optimisation, territory assignment, and data integration with CRM and marketing automation systems. A planning domain is a self-contained model that includes all elements necessary to plan, report, and analyse a business, or a specific functional area of a business, such as sales. This capability enables companies to set up, link together, and manage multiple Adaptive Insights planning domains for an integrated, comprehensive model of the business comprised of multiple autonomous or semi-autonomous organisations. 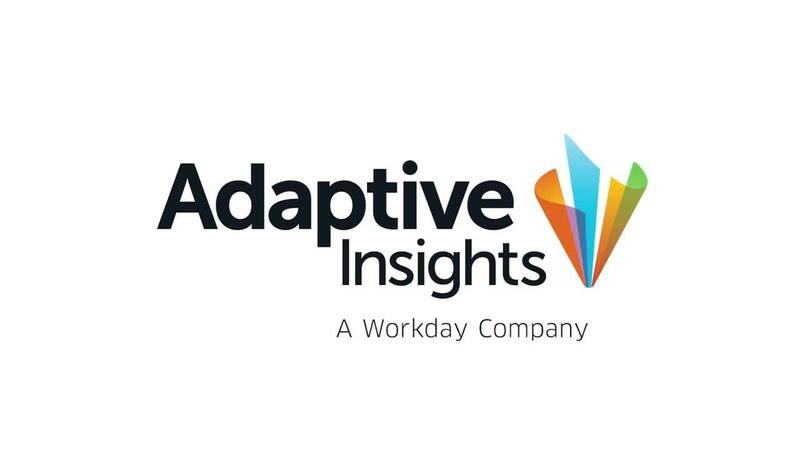 Adaptive Insights may be deployed on a single-domain basis (one domain for the entire company or organisation), or on a multi-domain basis (multiple domains for different independent functions or entities within the corporation). One of the packages above would be selected for each instance desired. Full Seats allow a Customer’s user administrator to assign user roles and permissions inany way that suits their planning process. Full Seat users can perform any system capability designated to them by the Customer’s user administrator. Full Seat users can act as business users, financial model builders, and as security administrators, depending on Customer’s preferences. Full Seat users can enter and save data on planning sheets (budgets, forecasts, workforce plans, or other models); and create, view and share web-based reports. Full Seat users get unlimited access to eLearning. Full Seat users can also create, view, and share OfficeConnect board reports and create, view, and share dashboards and visual analytics if the Full Seats are purchased for use with the Planning & Analytics package. Contributor Seat users can enter and save data on planning sheets (budgets, forecasts, workforce plans or other models); and create, view and share web-based reports. Contributor Seat users can participate fully in workflow and process management. Contributor Seat users get unlimited access to eLearning. Contributor Seat users can access OfficeConnect and also create, view, and share dashboards and visual analytics if the Contributor Seats are purchased for use with the Planning & Analytics package. View Seats are used to enable broad, organisation-wide participation in an active planning process. View Seat users can view planning sheets (budgets, forecasts, workforce plans); view reports; create and save personal reports. View Seat users can view dashboards and visual analytics; and create and save personal dashboards, if the View Seats are purchased for use with the Planning & Analytics package. View Seat users can drill down from reports and can use cell explorer. All packages include Standard customer support as part of a subscription. We also offer additional support options for customers. The complete set of support options are detailed on our customer support page. Subscription licenses are available for one year or for multiple years. For more specific information about pricing, or for an implementation services quote, please contact us.